China’s largest fruit juice company Huiyuan Juice Group Limited has entered into a 50-50 joint venture with Singapore’s Yeo Hiap Seng Limited (YHS). YHS is famous for Asian drinks including soy drink and chrysanthemum tea. The JV will be formed in Malaysia to manufacture and sell fruit juice, juice and vegetable juice and other beverages in Malaysia before possibly tapping into other markets in Southeast Asia. 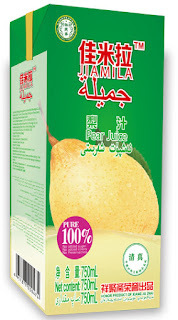 In my blog dated 23 June 2014, I mentioned Huiyuan’s plans of introducing halal fruit juice under the Jiamila range in Malaysia. The company was one of those that participated in the 15th edition of MiFB in Kuala Lumpur on 21 June 2014. At the time of writing, Jiamila has not been introduced in the country. YSH will contribute its “production management, distribution and marketing expertise,” while Huiyuan will supply its “technical capacities, know-how and raw material supply capabilities.” Accessing good quality and cheap raw material is key in juice manufacturing. The JV will ensure the ample supply of low-cost, high-quality raw juice from China. The JV will help enrich YSH’s current juice range, which includes coconut water, guava and apple juices. For Huiyuan, my understanding is the small local Malaysia market is not the real reason why it chooses Malaysia in the first place. The key reasoning behind setting up a JV in Malaysia is to leverage on Malaysia’s expertise in halal to turn the new facility into a global halal hub for export into other halal markets including the Middle East. This will pave the way for Huiyuan to go global.